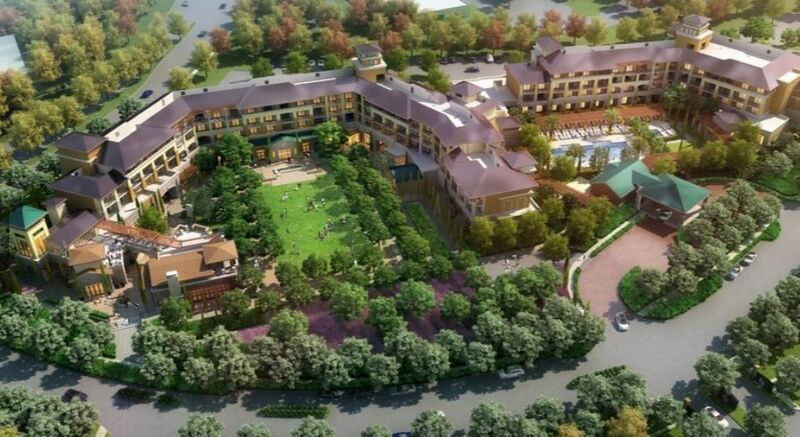 SF Chronicle 10/5/18: How many high-end hotels can Napa Valley handle? The answer: a few. 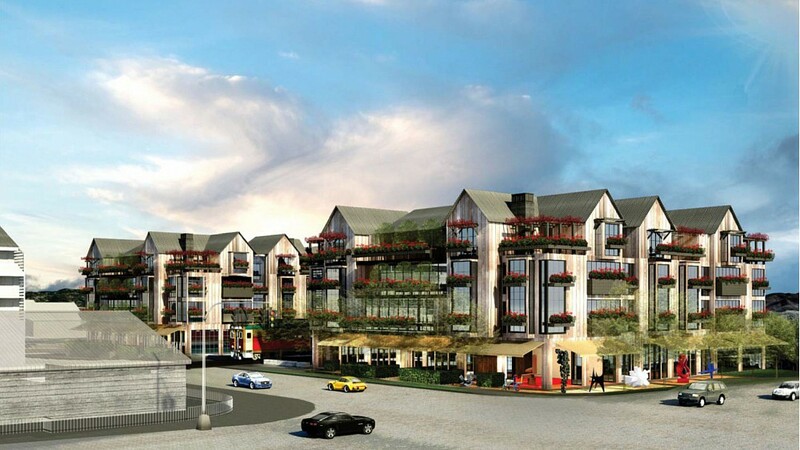 Napa, as a high-end retreat for the wealthy (i.e. Meadow wood and Auberge du Soleil) is already losing its luster as the number of tourists keeps increasing and the marketing of food and wine through winery experiences becomes a mass market entertainment. (And as the traffic jams increase and the natural beauty of the landscape is diminished by building projects). In the short term, as long as the tourism numbers keep expanding there will be a percentage that can be convinced to spend $1000 a night for their image of the good life. The question is whether the construction of pricey hotel rooms will outpace the ability of Visit Napa Valley to sell the region's exclusiveness while marketing to the masses as well. If not, as all of the rooms come online, the prices will probably begin to fall to a rate in line with the rest of the world's tourist destinations. Healdsburg leads the way. Of course, as usual, government has acted to solve problems when the problems are already beyond being solved. 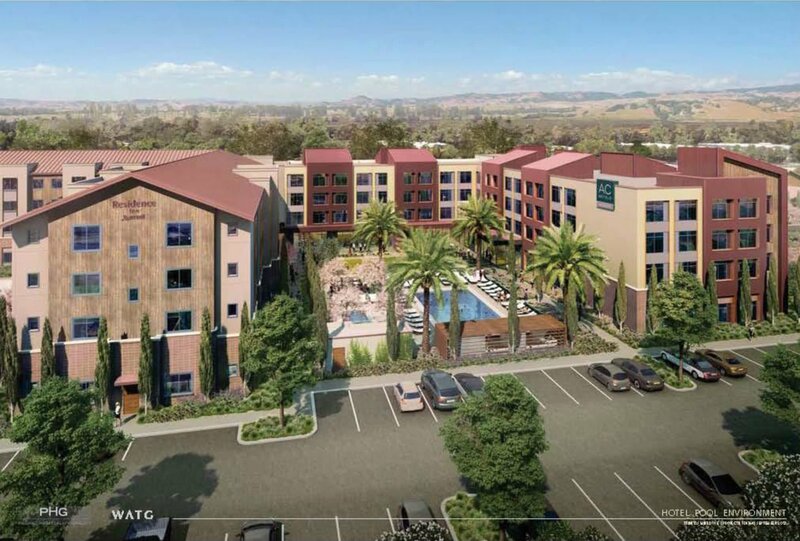 The already-approved doubling of hotel rooms will give Healdsburg the feeling of a 24-hour tourist trap, and future affordable housing requirements will not ease the existing or approved shortfalls. Unless the affordable housing offsets are actually sufficient to house the employees of the hotels in question, new hotels will continue increase the burden on the city to provide affordable housing and the problem will never be solved, only exacerbated. Comm. Murray said, regarding the number of new workers needing affordable housing: "We can’t be continually punting the ball down the field, but we can’t put the burden all on one project," to which the logical reply is "Why not?" This particular project is increasing the affordable housing shortage by a specific number of units. Why shouldn't the project create those units as a condition of approval or else pay for the difference between affordable and market rate housing for every employee? More about the traffic impact of this project and other projects around bottleneck junction is here. 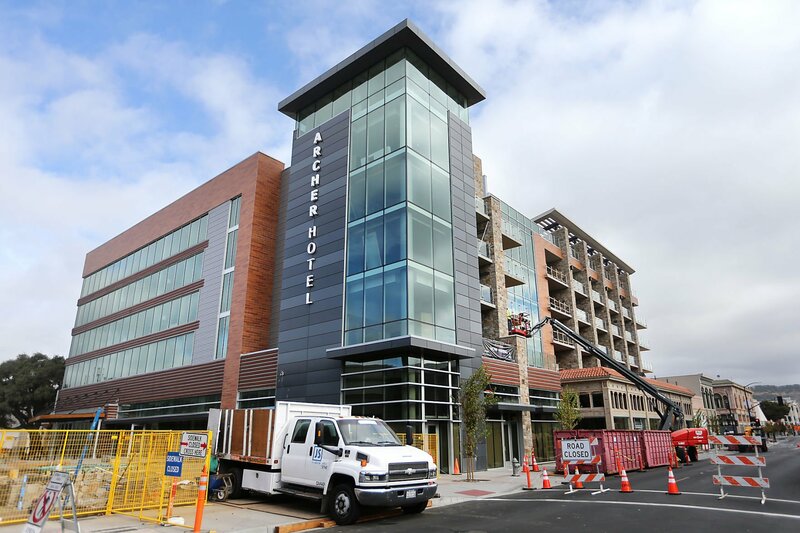 The 30 affordable units in the housing project won't quite accommodate the 100-150 new hotel employees, but Gasser is setting a trend by tying actual affordable housing construction, not just token mitigation fees, to tourism development. That being said, the increase in population and continuing urbanization of the county and shift in the economy from wine to entertainment spells a long term decline for agriculture and the rural character that everyone claims to treasure. It is great to see that even some of those members of our county governments that have been supporters of tourism development have begun to believe that continued expansion of the tourism industry is unsustainable if the goal is to retain the rural small-town character that draws tourists here and makes this a desirable place to live. There needs to be a limit of tourism activity in relation to real life or real life ceases to exist. Many already feel that line has already been crossed, and the vast increase in hotel rooms in the municipalities and wineries in the county already in the pipeline means that the tourism impacts we already feel will only get worse. But If more of our officials, like Mr. Mott, are willing to begin opposing tourism urbanization now, and begin thinking in terms of a sustainable stable economy rather than a unsustainable growth economy, there may still be some hope for the survival of a quality of life treasured by both visitors and residents in the future. Oh No! Another over-scaled, over-wrought hotel crammed onto First Street. This one is more apartment-looking than the previous version, an advantage if the tourism market crashes at the end of this hotel bubble. 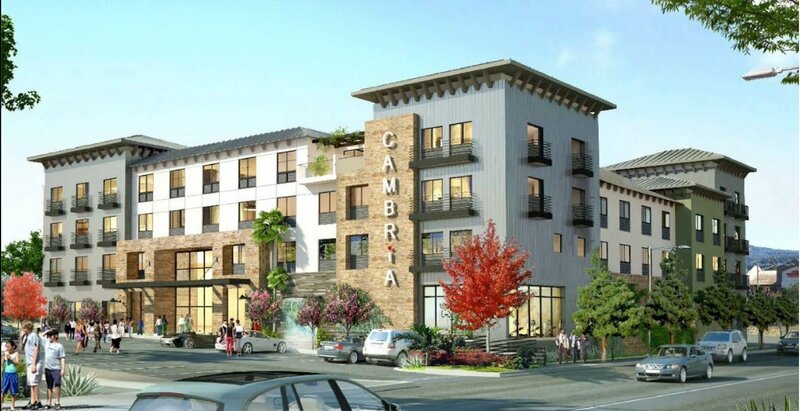 Preliminary review at the Napa City Planning Commission Thursday, Mar 1st, 2018 at 5:30pm. Staff report is here. While it's hard to compare the nebulous disorganization of Napa's downtown with the iconic organization of Healdsburg's town plaza, the impacts here of rampant tourism development will likewise wipe out any sense of "small town" character that Napa does possess as 5 and 6 story hotels, and the throngs of their patrons, begin to dominate the Napa streetscape. Kudos to Mr. Johnstone for telling it like it is: "You walk in and you think you're in New York." and "How many hotels does downtown need? I hope we're not overdoing it." 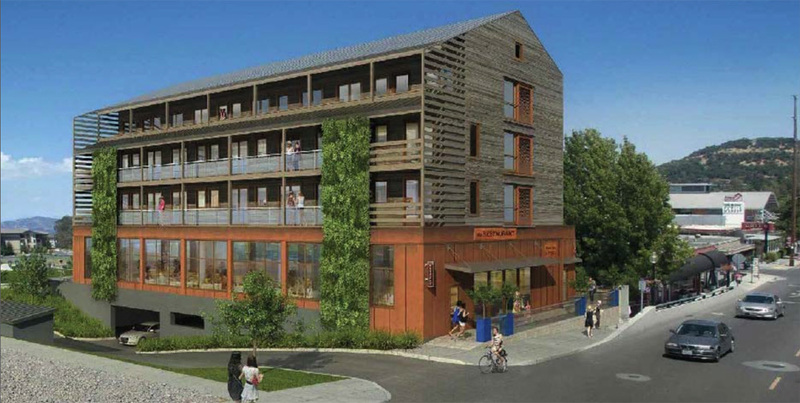 Napa Vision 2050 has just sent out this notice about a staff report to be presented to the Napa City Council on Aug 15th, 3:00pm about the various hotel projects going on in the city. You are encouraged to attend. 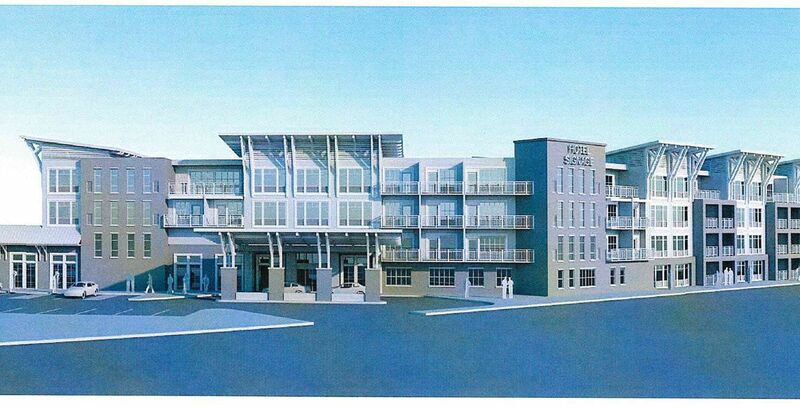 The Black Elk Hotel had a preliminary review by the Napa City Planning Commission on July 6th 2017. The Staff Report and Documents are here. 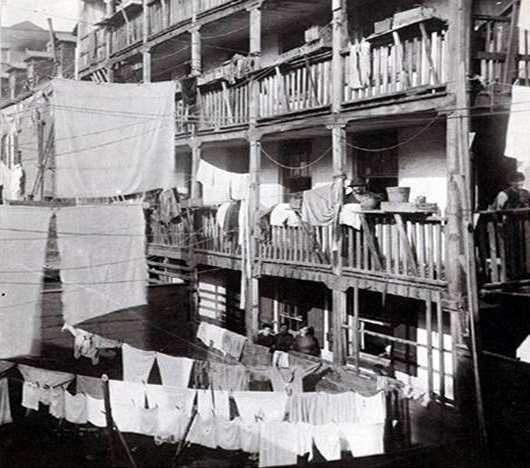 It is a very innappropriate building for the location, out of scale, a visual barrier to the Oxbow district, of "barnish" shape and materials out of place in its urban setting, a box of a building trying to squeeze as many hotel rooms as possible on the small site, which brought to mind a 19th century tenement house. What became very apparent here, and in all of the hotel projects in the news recently, is that the city has no master plan for the development of the city, no commitment to integrate housing and real people and businesses into the tourism economy, and no design guidelines to regulate what the character of the place will become. As with the rural areas of the county, the future of Napa City is being irrevocably altered in this developer boom period, and the Planning Commission decisions about Napa's future are being made on an ad hoc basis, one isolated project at a time, without looking at the long term result. Which, of course, will be a hodgepodge of developers' schemes, some with good taste and some without, trying to maximize the money to be made from the tourist trade on every square inch of the city, while the residents are forced out. Howard Yune, Napa city reporter for the Register, had to previously ask readers what they thought about Napa's hotel explosion, and he gives some of the responses in the above article. He had to ask because the Register, in a blow to the free exchange of ideas in a democracy, decided to discontinue the ability to comment online to news articles last year. There were, no doubt, legitimate concerns leading to the discontinuance. 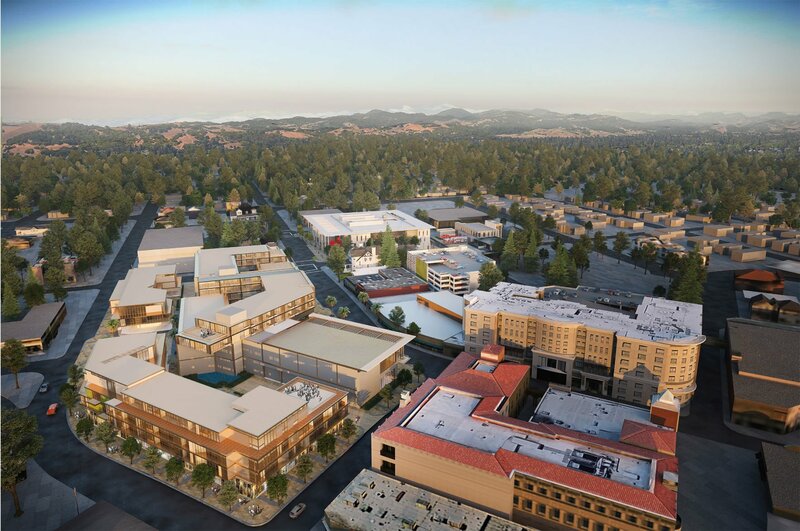 But for those seriously interested in issues in Napa county, like the explosion of hotel development, citizen reaction to the news is an important part of the story. The problems that the paper experienced with responses, I think, had much to do with the anonymity of the posts and the freedom that gives to be irresponsible in posting. Require real names and let the comments continue. The hotel explosion raises several issues. Second, a financing dependency. TOT revenue and other in-lieu fees are welcomed as a quick fix for the deferred infrastructure and service costs needed to mitigate the impacts of previous urban development. But low wage jobs are created by the hundreds and the money isn't there for affordable housing. Traffic and parking problems explode. The increased tourism and employee population require additional infrastructure and services which then encourage more new project approvals and so on. Ultimately the place becomes a dense tourist trap, devoid of residents, and, much like Oxbow is now, packed with people wondering what's so special about Napa. Third, the loss of Napa's rural soul. The number of hotel projects, like the amount of traffic, is a symptom of a community losing it's resitance to development pressure. That pressure was was contained in Napa for the last 40 years by a combination of politicians and citizenry with a clear vision of an un-urbanized future, and an industry dependent on an agricultural product. But as the landscape and vineyards are slowly filled with buildings to exploit the expanding tourist population, the vision of a rural enclave in the urban Bay Area is harder for politicians and their citizens to imagine, and the industry is finding that more money is to be made by providing wine-related experiences than from making wine. The importance of agriculture fades beyond its use as a stageset for TOT-paying visitors. A neighbor just sent over a link to the latest Napa Life, Paul Fransons's weekly "insiders guide to the Napa Valley." The June 19th, 2017 issue is here. Scroll down to the section on "Lodging News". Below the summaries of the latest hotel projects in the Register he has a list of the projects currently in the approval and proposal pipelines. While I struggle to keep up on this site, as an insider he has a much better handle on these things. And it is a bit freightening. Most freightening of all is the mention of a Ted Hall 80 room hotel in South St Helena (described in this 2015 NVR article). Ted Hall (recent profile here) is perhaps the most revered grower-vintner in the county, one of the few statesman in an industry filled with entrepreneurs. 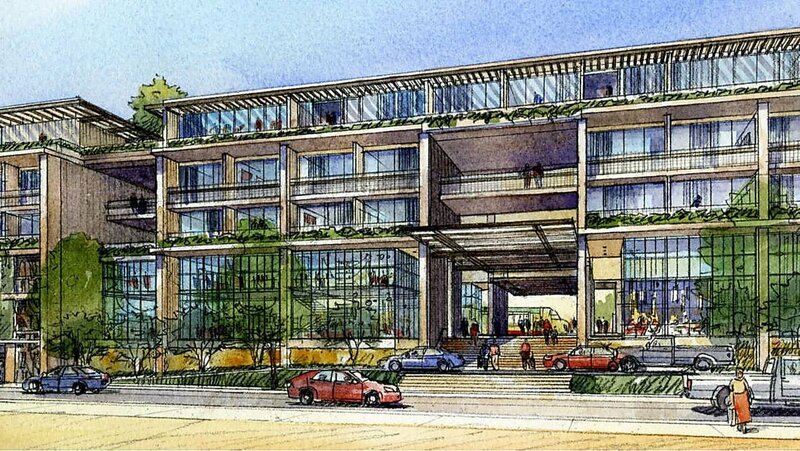 Each trip to the planning commission to present his winery projects turns into a lovefest (just as the hotel project did). He will probabaly make the most sensitive, ecological integration of agriculture and overnight accommodation it is possible to make. And he will set the precident for lesser lights to follow for the next phase of the "wine" industry in its transition to an entertainment industry. Now that the winery restaurant is firmly established as an acceptable "incidental and subordinate" use allowed at wineries, it is only a matter of time before the winery b&b begins to make its way into the definition of "agriculture" as well. A euphanism will have to be invented - "immersive agricultural experience" perhaps - to make sure no one would mistake a winery for a hotel. But with the precedent set by this most solid citizen of the County, every good-life entrepreneur will now want a hotel-of-their-own to go along with their winery. Don and Arlene Townsend LTE 6/16/17: When is enough enough? NVR 2/20/17: Napa asks, How many hotel rooms are enough? In the Times article Napa Vision 2050 is recognized nationally for its efforts to slow the urbanization of Napa County. Kudos to Harris Nussbaum and Patricia Damery. Tourism accelerates the polarization between the population and the very wealthy. Polarization begins when businesses begin to cater to tourists and affluent locals at the expense of townsfolk. Now a major social revolution: small group of elderly people and few young people. Q: Whose town is this anyway? What can community do so the power doesn’t get concentrated in the hands of a few? A: There are a few only. Locals are usually the last to get a voice in tourism development. Usually money does the talking. Local leaders who are wise enough know that the local people need to be part of the process. Most people don’t really know what their long-term needs are. Community groups need to have experience. Know what they’re doing, how to get things done, like NV2050. It’s what attracted me to this event in Napa. Hospitality is about cheap labor. Tourism is about value added. Q: Local schools close and students are sent out of town? A: Imbalance. Older population crowds out the younger people. Mis-managed tourism.. Petersborough losing its school system,, and its vertical, complete society. Declining school enrollment is a sign that either young adults don’t want to have children, or they don’t see a future in the town. Q: How do you organize the population? A: NV2050 is a great example. You’re anxious over the future, you’re organizing through people who can organize, and have the time and abilty to see things through. Then expand! It’s bottom up. Top down is very rare. Q: How do you recommend citizens get involved in decisions on smart tourism? A: Mendlinger: What is motivation for County and City political leaders to get involved? Do they want more development or a higher quality of life for citizens? If interested in business they won’t listen. But if you have wise leadership you’ll do the part of the job that improves the quality of life. Especially in Napa you have a great pool of experience and wisdom. It’s cosmopolitan not provincial. Political leadership has to listen to well-organized citizens who understand how real life works. Citizens can go far. Like this meeting where you have political leadership plus informed citizens. I traveled fro Boston to see how Napa is doing, and I am encouraged by the possibilities. Rural areas - resource extraction areas – when industry pulls out there’s not much reason for community to be there. Q: Advice on blasting open “iron triangle” government/agencies/industry? A: Mendlinger; How to develop experienced and wise leaders and citizens is the question. I just don’t know how. In an economic impact study, costs are just as important as revenues. Too much tourism can overwhelm a community. Impact studies usually tout all the benefits of a development. Fiscal impacts are often overlooked and no multipliers are used. The reports that go out make the development look great but it’s not. There’s no balanced perspective with costs to the community.